Your clients want more feedback in early design. Owners and architects increasingly want their engineering consultants to assess more design options and HVAC systems, earlier in the process. Sefaira Systems enables you to deliver robust insight quickly and cost-effectively. Provide data-driven input on key architectural and HVAC decisions without spending a lot of time and fee. 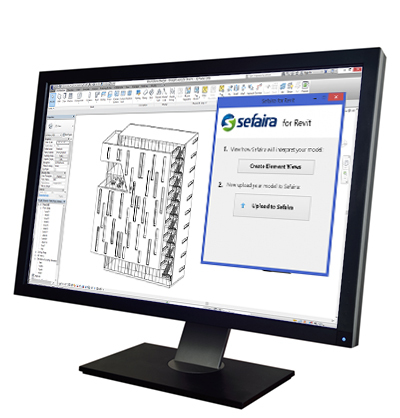 Sefaira Systems produces high-quality HVAC sizing and energy results directly from architectural Revit and SketchUp models, enabling you to rapidly compare design options and respond to architectural changes. Architects and owners are increasingly looking for engineering consultants who can provide good early feedback on system options, sizing, energy use, and energy cost. Sefaira Systems allows you to deliver on these expectations and build lasting, productive relationships with your clients. Sefaira Systems uses the industry-standard EnergyPlus engine and expert-designed HVAC templates to deliver accurate results every time. Export results in IDF, HTML and Excel formats for later stage investigations. Create a case for better performance: justify improvements to form and envelope with HVAC sizing or operational cost reductions. Understand sizing implications of owner specifications and HVAC system options. Identify the best overall solution by studying the impacts of early design and system choices. For more information about Sefaira Systems, you can request a demo or call 0800 028 28 28.